Start with a plain white mug from any store (I think this one is from the Dollar Tree). You will also need the multi surface paints from DecoArt in your choice of colors. Oh yea and those “special” tools I mentioned…a feather and a drinking straw. You have those on hand already right? If you need to buy your paints, click on the affiliate links below and a portion of your purchase will go to support this site. 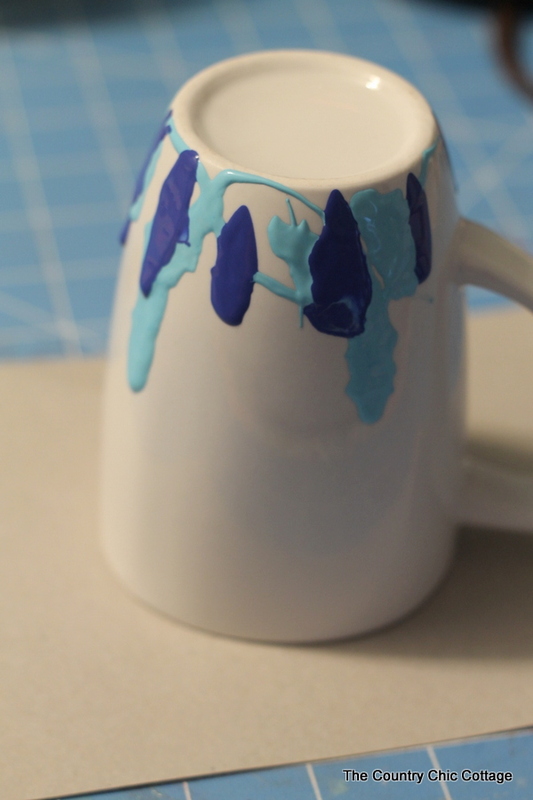 Clean your mug with rubbing alcohol before beginning. Turn your cup upside down on cardboard or paper. 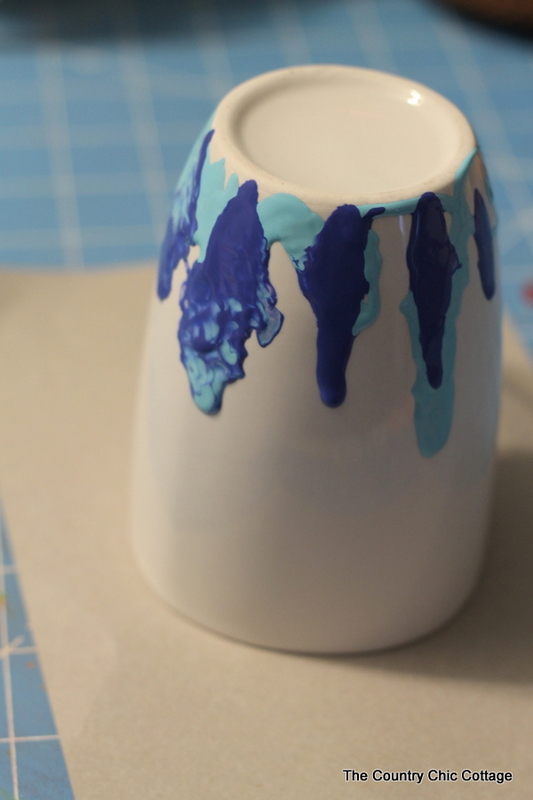 Start dripping on your first color of paint. I used the most of the first color as you can see below. 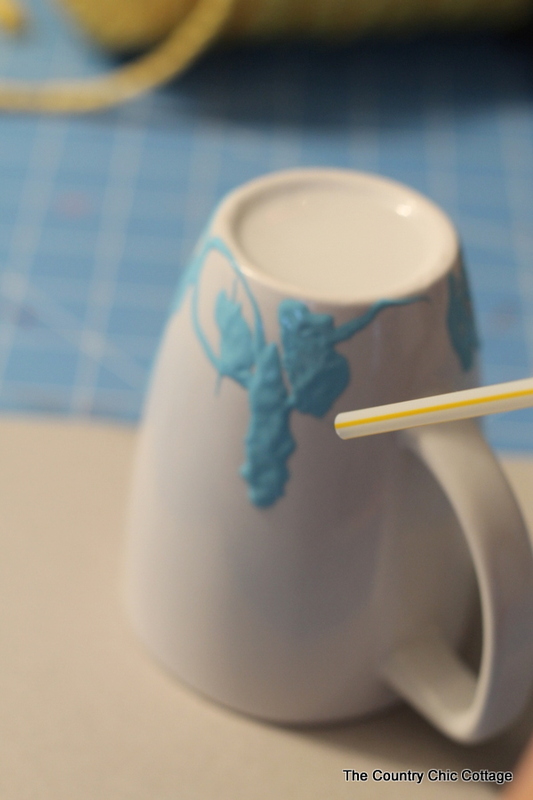 Then literally start blowing through the straw to spread out the paint. Add on the second color but slightly less paint. 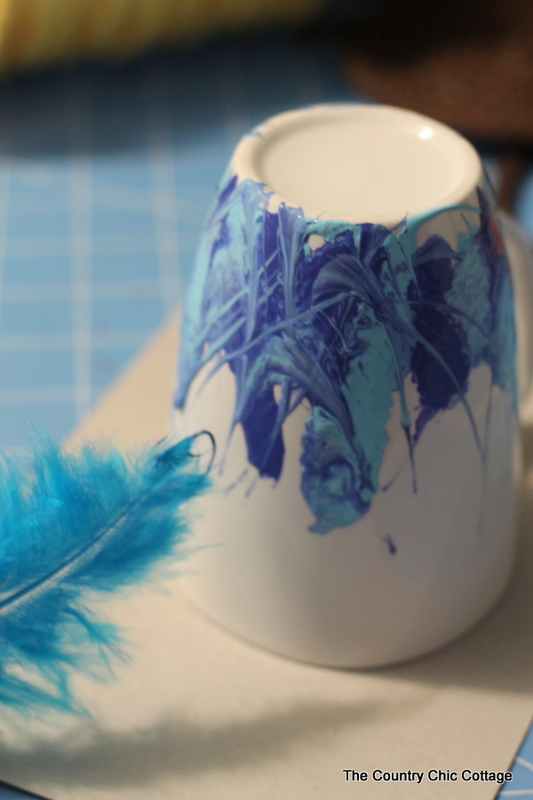 This time when you start blowing through the straw onto the paint you will see the marbling effect. It gets better! Keep blowing! 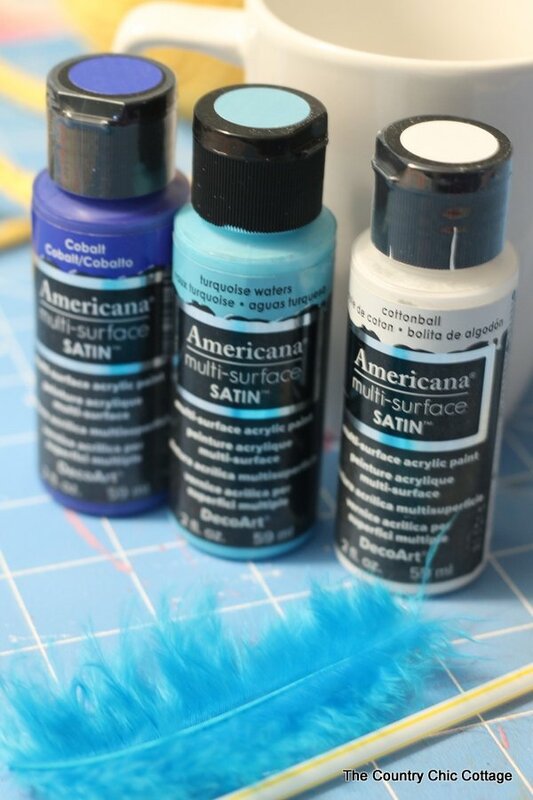 I took my feather and ran it randomly over the paint after I had blown through the straw all the way around. This mixed the paint slightly and added some more dimension. Now drip on your last color but just a little. And start blowing through that straw again. Blow until you get the look you desire and the paint is a nice thin layer. I did not get the paint up near the mouth portion of the mug on purpose. This paint is not intended to get in contact with your food. 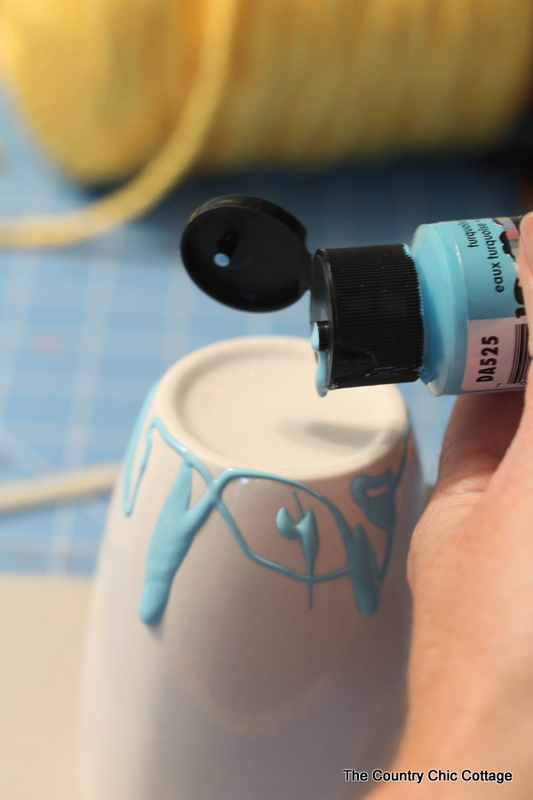 Allow your mug to dry completely then bake according to the directions on the paint bottle. 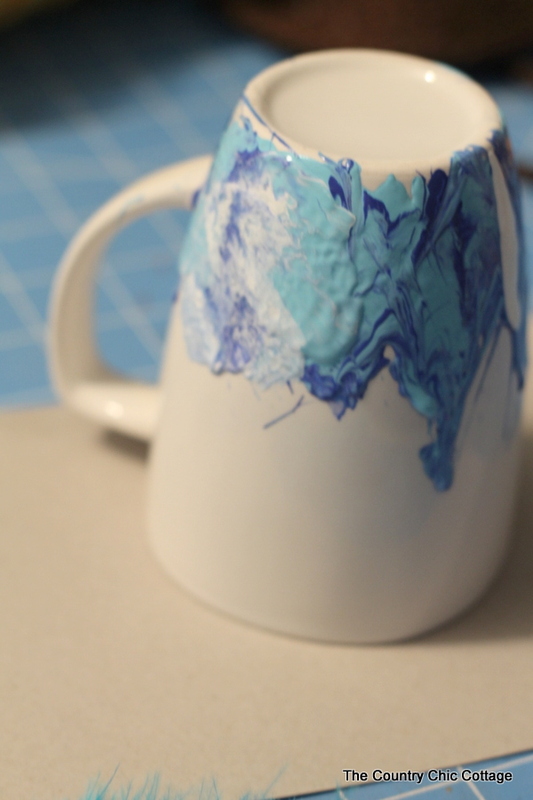 This will make sure that your gift recipient can wash their new marbled mug without the paint coming off. 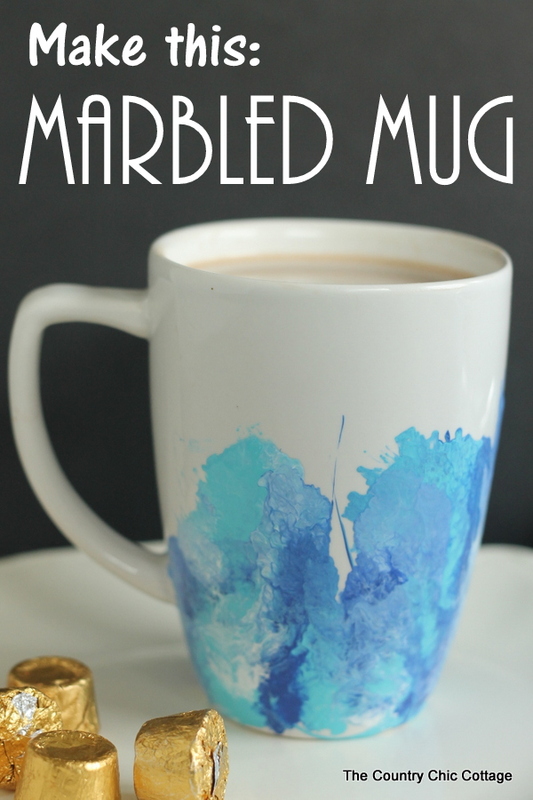 I did promise y’all a recipe to go in this new marbled mug didn’t I? 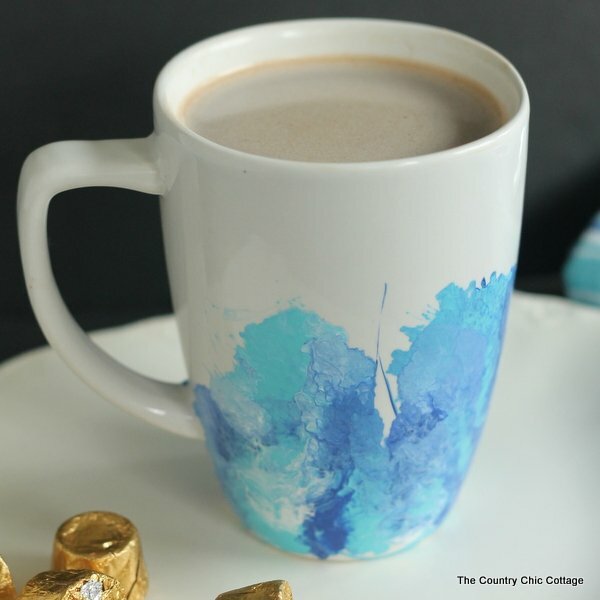 My Rolo hot chocolate will knock your socks off! 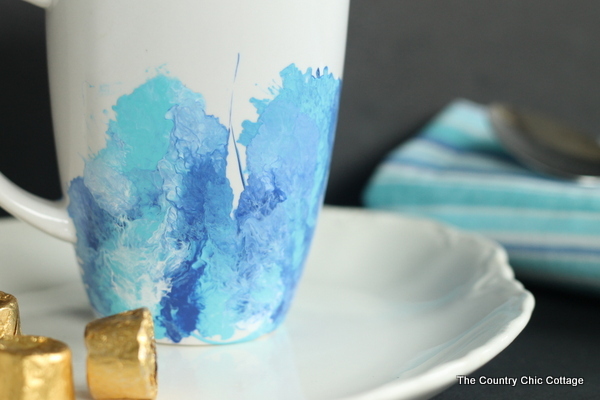 Unwrap 7 Rolo candies and place in the bottom of your mug. Microwave for 20 seconds. Stir and then fill mug with milk. Microwave for 1 minute and 20 seconds. Stir and then microwave for 20 more seconds if your chocolate has not completely melted. Stir again and serve! YUM! Y’all enjoy! 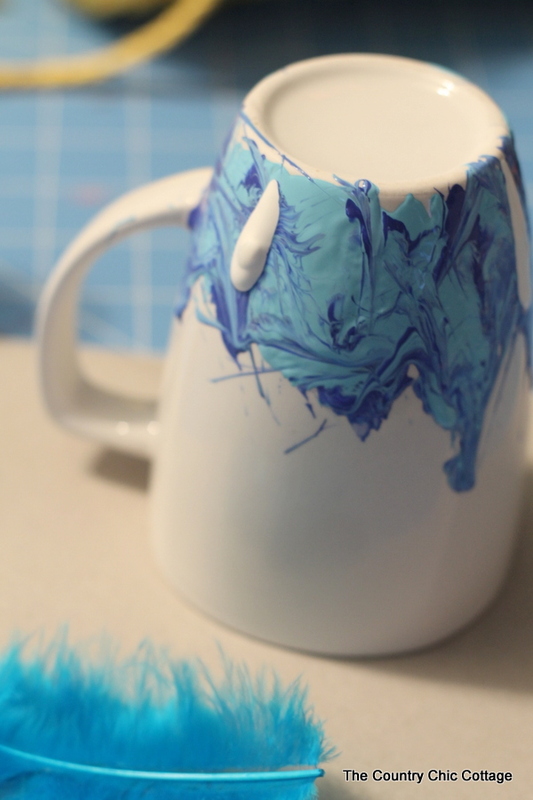 And be sure to make your own marbled mug plus a bunch for gifts this holiday season. 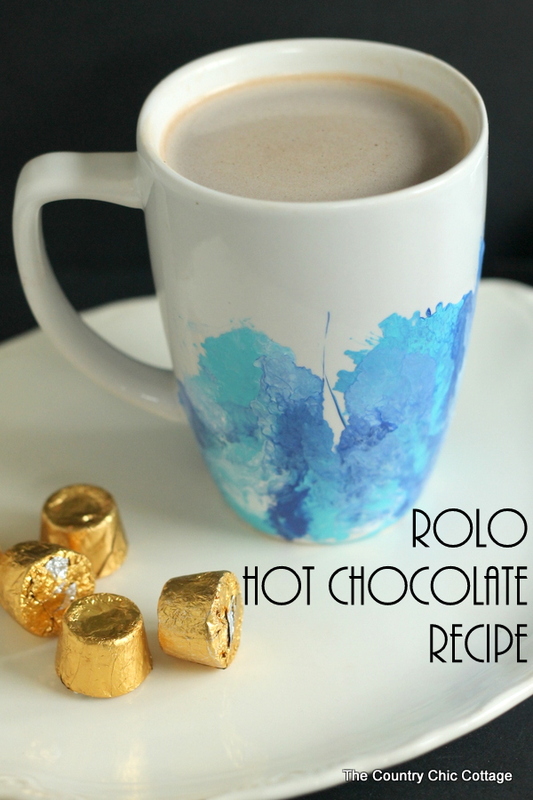 You will want to keep that Rolo hot chocolate recipe all for you however! YUMMO! !